Handmade Detroit | Try This: Selling at a Non-Craft Show! 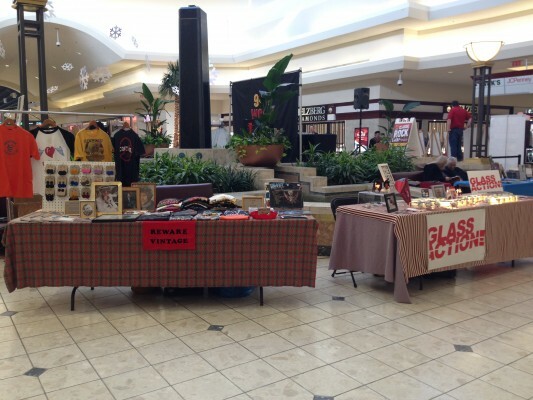 Carey and I were excited to sell last weekend at the WCSX Rock Swap at Oakland Mall last weekend, but a little nervous too. We both sell crafts that obviously appeal to music lovers, but still wondered if this was going to be a good fit for us…and were very happy to realize that it in fact was! Carey brought all her fan fav Rock N Roll Night Lights (and some brand new ones to debut at the show! ), and I brought a mix of vintage tour T shirts and my handmade Record Earrings + Embroidered Record Covers. We both had a great time talking with shoppers about favorite bands and concerts from years past, and were very happy with how many people we connected with and sold our handmade goods to (and we gave so many biz cards out too)! We had such a blast and can’t wait for the next one. The whole experience got us thinking more about being part of more & different events. We’d love to know: have you taken a chance and tried selling your crafts at a non-craft show? Tell us about your favorites in the comments! Heck yeah! Music festivals, microbrew events, in store trunk shows, all sorts of places that seem a little kooky. If there will be an audience that will like the work and open the pocket book, and the fees are reasonable it’s worth giving it a shot. Yes, those are all great ideas, Rebecca! 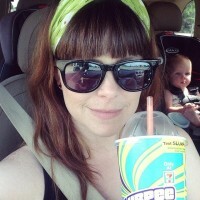 I’ve done a number of music festivals and loved them – great sales + soundtrack for the day, too!